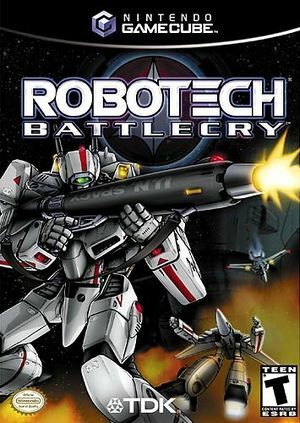 Robotech: Battlecry is a video game set in the Robotech universe, the first video game successfully released for the franchise. It was developed by Vicious Cycle Software and published by the now-defunct TDK Mediactive, in association with Harmony Gold USA. With a story focused on new characters created for the game and with guest appearances of main characters Rick Hunter, Roy Focker, Lisa Hayes and a part of one in-game mission directly centered on Lynn Minmei, it somewhat follows the Robotech continuum. In multiplayer mode, half or more of player 1's half of the screen is often not redrawn correctly. As of 4.0-5256, occasionally while using HLE the music ingame will miss cues and continue playing when it shouldn't, making dialogue in cutscenes hard to understand. Using LLE solves the issue. Cutscenes show a black screen without Real XFB; however, XFB is set to Real by default for this game. You can change this in the game's properties. The graph below charts the compatibility with Robotech: Battlecry since Dolphin's 2.0 release, listing revisions only where a compatibility change occurred.